Amazon founder Jeff Bezos has surpassed Microsoft co-founder Bill Gates as the wealthiest person in modern history. According to the Bloomberg Billionaires Index, Bezos’ net worth has now surpassed $105 billion – far ahead of the $93.3 billion, $87.2 billion and $77.5 billion net worth of fellow billionaires Bill Gates, Warren Buffett and Mark Zuckerberg, respectively. Forbes, another publication that tracks the net worth of the world’s richest people, also has Bezos in the top position with a net worth of $104.5 billion. Most of Bezos’ fortune consists of the 78.9 million shares of Amazon stock he owns although the entrepreneur is also invested in other companies including The Washington Post and Blue Origin, the private spaceflight service that aims to take tourists to space. As CNN highlights, Gates would be worth far more than Bezos if it weren’t for his significant charitable donations. According to publicly disclosed donations, Gates has given away 700 million shares of Microsoft – worth nearly $62 billion at today’s value – and close to $3 billion in cash over the years. Had he held on to that money, his net worth today would be well over $150 billion. 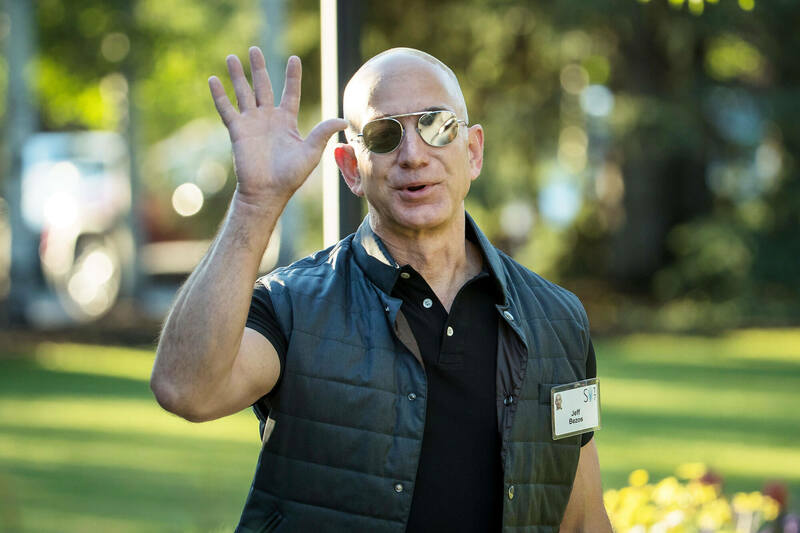 Bezos came under fire last year when The New York Times questioned his level of philanthropic giving. The CEO took to Twitter shortly after to solicit ideas but that was nearly seven months ago and we’re still waiting to hear about what ideas he has come up with.